The Bulgarian version, ‘Бургаската афера’ was released last year. 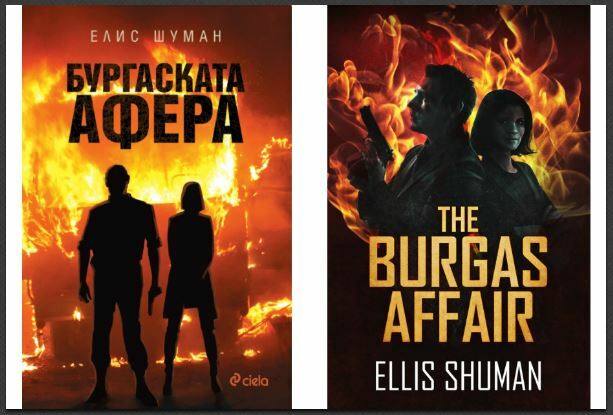 Now, author Ellis Shuman is about to publish the original English version of his novel, entitled ‘The Burgas Affair’. Read the rest of the story on The Sofia Globe. The Sofia Globe, published online in English and German, provides news, features, insight and analysis about Bulgaria, Central and Eastern Europe. My boss called me into his office one day toward the end of 2008 and informed me that my job was being relocated from Tel Aviv to Bulgaria. If I didn’t agree to relocate, someone would be chosen to replace me. I told my wife that we needed to talk. At the time, I was a division manager in an Israel-based company providing marketing and support services in the online gaming sector. I had been working at the company for four years and I was starting to consider looking for new challenges. I had dreamed of working overseas but I thought that at my age, relocation would never be an option. THE BURGAS AFFAIR - coming October 30th! 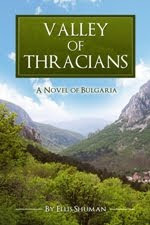 Pre-order your copy of THE BURGAS AFFAIR. 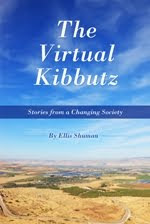 Now on sale at Amazon! Oops! I built my sukkah upside-down! When you purchase a sukkah in Israel it's supposed to be a lifetime investment. The so-called sukkah l'netzach is easily constructed and then stored away after the holiday for future use. How is it, then, that I've gone through four or five of the contraptions over the years? The first "ever-lasting" sukkah I bought was nothing more than a set of irrigation pipes. The end of each pipe had to be screwed onto the next pipe's connecting threads with the help of a monkey wrench. This sukkah swayed dangerously in the slightest breeze. After one or two holidays, the end of the pipes broke off, effectively shortening its shelf life. The second sukkah I purchased, also designed for eternal use, was a marketer's mad concept of an Erector Set. It consisted of two golf bags filled with a multitude of bars, angles, connecting joints, and support pieces. There were diagrams included but construction was worse than finishing a 2,000-piece jigsaw puzzle. The sukkah stood in place at last, and then it collapsed. Read the rest of this article on The Times of Israel. Editing Is Finished! Formatting Begins! And soon, the book will be published!